We are now stocking Rotation Cabernet, Merlot, Chardonnay and Sauvignon Blanc. They are labeled as “California” appellation but are all sourced from the North Coast, Central Coast and Lodi. These are all small production, handcrafted wines. Sam is the only full time employee of the winery. Now the punch line: THE ARE ALL $7.99 – $8.99/BOTTLE EVERYDAY LOW PRICE! 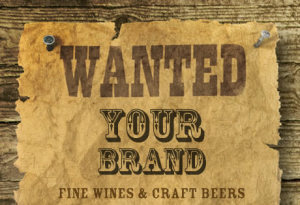 We contacted the winemaker with some questions which he answered below and attached. “First off, thanks for selling the wines I have made! 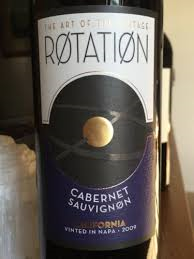 The story behind Rotation is the little known secret that most winemakers put a little bit of older “matured” wine in with young “fresh” wine to create their current vintage blends. Your average consumer sees a 2011 Merlot on a shelf and thinks the wine is 100% 2011 juice. 90% of the time that’s not the case. Back blending happens more with red wine due to the harsh taste of young red wine. So with the Rotation wines we embrace this little winemakers’ secret and let people know about it. I travel all over California for Rotation and my other brands and source only the best wines/grapes I can find while also hunting for the best prices. In my travels I have found Lodi, Central Coast and North Coast fruit to be of superior quality for the price. The majority of the Rotation is sourced from these places. All my wines are just good honest wines for around $10 and I think my quality really shows that. You get into lower priced California wines and the industrial winemaking process takes over- it’s all about “quantity over quality”. I don’t do any funky industrial tricks to my wines. I’m not a fan of “fake” anything – no fake oak, fake flavors, fake tannins – I just make the wine as its meant to be right off the vine rather than “Doctor” it to taste like something it’s not.